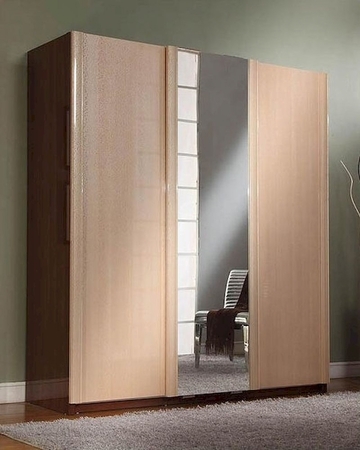 Modern Made in Italy Two Tone 3 Sliding Door Wardrobe 44B4218. 1 x 3 Sliding Door Wardrobe 44B4218. Wardrobe - 75"W x 28"D x 83"H.